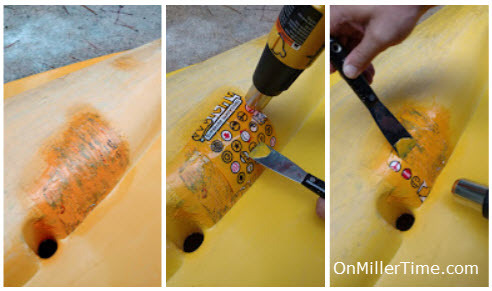 Kayaks get holes – it happens. Especially here in Florida – oyster beds are brutal! Our friends gave us a kayak that had a small hole in the bottom. This thing was perfect for the boy! 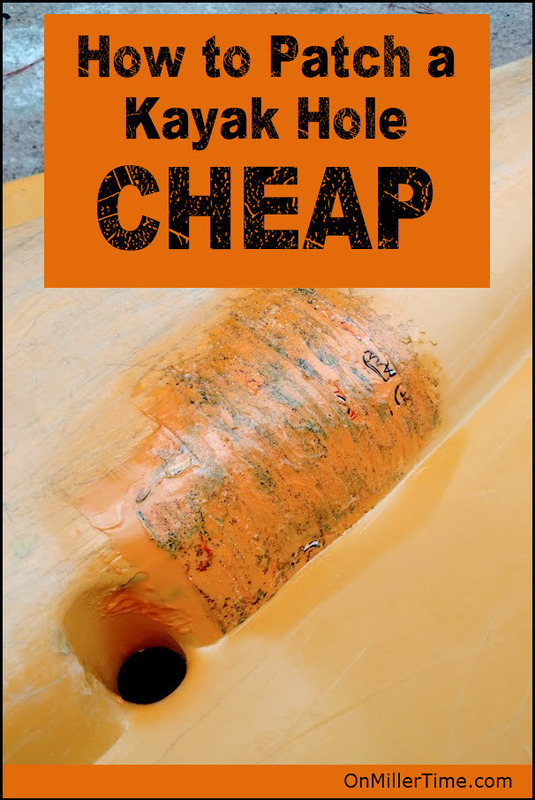 Since it was free and we didn’t want to spend much on it, we figured out how to patch a hole in a kayak CHEAP! MacGuyver came up with a plan (and a reason for a new power tool) to fix it. A heat gun. Luckily they are cheap – around $20 on Amazon. Then we had the issue of what to use. 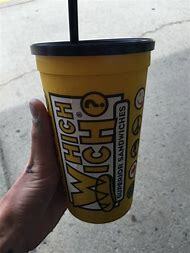 Looking around the garage we spotted a Wich Which cup. Plastic cup about 8 inches tall and it was almost the same color even. The best part was – it was pretty heavy duty plastic. The hole in the kayak we fixed About an inch wide and circle – not a crack, a hole. If you have a crack that may be a whole new ball game. Those are much harder to fix. You could try this method but you will need to straighten the crack first to make sure it is flat. Cut the cup down to where it would cover the hole with about 2 inches to spare on each side. 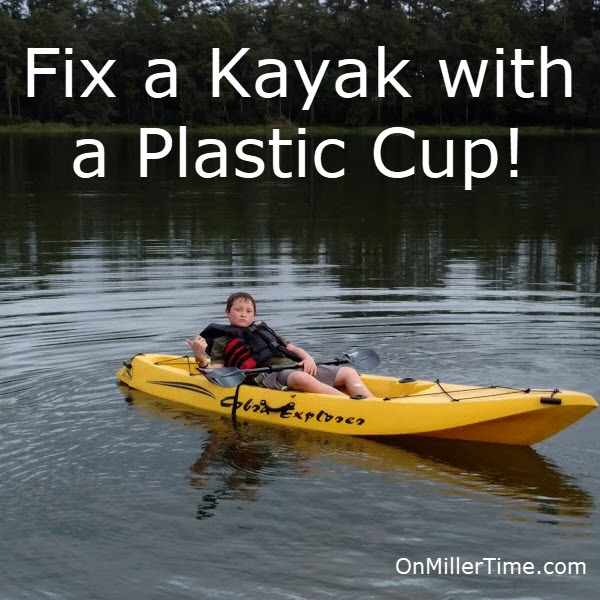 The we SLOWLY started melting the cup to the kayak. This took about an hour – melt and let cool, then melt and let cool. Using a scraper we started molding it to the shape of the kayak. After a while it was done. Not pretty – but patched! You could paint or find a closer piece of plastic but we didn’t care. This was going to be a 11 year old’s lake boat. UPDATE – a year later it is STILL holding! Disclaimer – we aren’t boat repair experts. This is just what we did to fix our boat. We are not responsible if you screw it up!